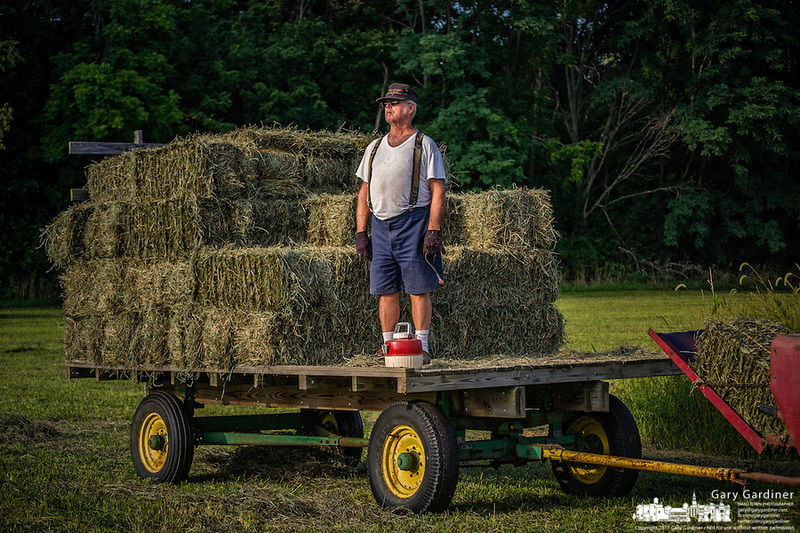 Sam Bigham stands on a trailer loaded with fresh hay recently baled on his family's Westerville, OH, farm. Bigham's family has owned the farm since 1920 but recently signed a contingency contract to sell the land to a housing developer. It is the last working farm in the city.